Future's newest album, "THE WIZRD, is now available on Apple Music along with an exclusive documentary. Apple is highlighting the new content on its main Apple.com website. "THE WIZRD" includes previously released singles like "Crushed Up" and "Jumpin on a Jet," along with features from Travis Scott, Young Thug, Tay Keith, and more. 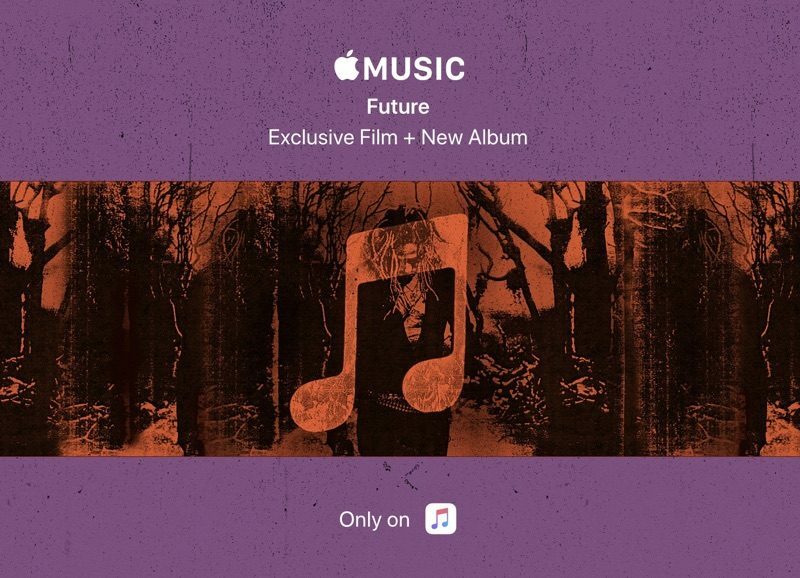 Accompanying the album is access to Future's documentary, also titled "THE WIZRD." The hour long documentary gives a peek into Future's "formative life moments." It features guests that include Rico Wade, DJ Khaled, Metro Boomin, Yo Gotti, and André 3000, who share details on Future's "obsessive work ethic" and "unique rhyme style." Obsessive work ethic? If I wanted to degrade myself to that level I could do what he does with my eyes closed. Yeah, anyone who’s ever been in a studio with Future has acknowledged an impressive drive and work ethic. What are you diminishing another man’s work for? Comes off as a bit insecure. Well it’s not my style of music, but I always like to drop in on these threads and see how Apple is promoting various artists. They do a nice job of it. I would love to see a similar feature done up by Apple for the kinds of music and artists I like. I understand why they don’t, but I think well enough of their efforts to wish they would. Those who have plateaud generally see no way to climb and therefore have to drag others down. Everyone else’s achievements and recognition makes them feel less manly.